Kim of Paper Smooches has challenged us to make a cardstock only card or project - no patterned paper allowed. 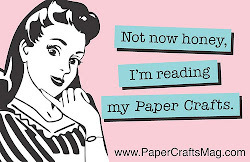 This challenge is right up my street as I use cardstock far more often than patterned paper especially when paper piecing. 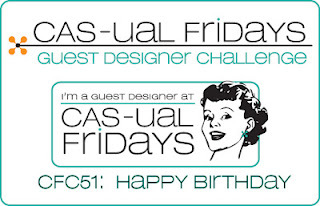 I also wanted to make a birthday celebration card so I could play along with CAS-ual Fridays. It's their first birthday and the new design team are making their debut so there's a lot of fun stuff going on over there! My original idea did not cooperate with me so I regrouped, played around a bit and came up with this. I love that cute jukebox and it totally makes me think PARTY so I pulled out some colourful Bazzill, Paperbilities and Stampin' Up cardstocks and paper pieced my little heart out! What a fun birthday card. And, I love the sentiment you chose. I have that one, too. 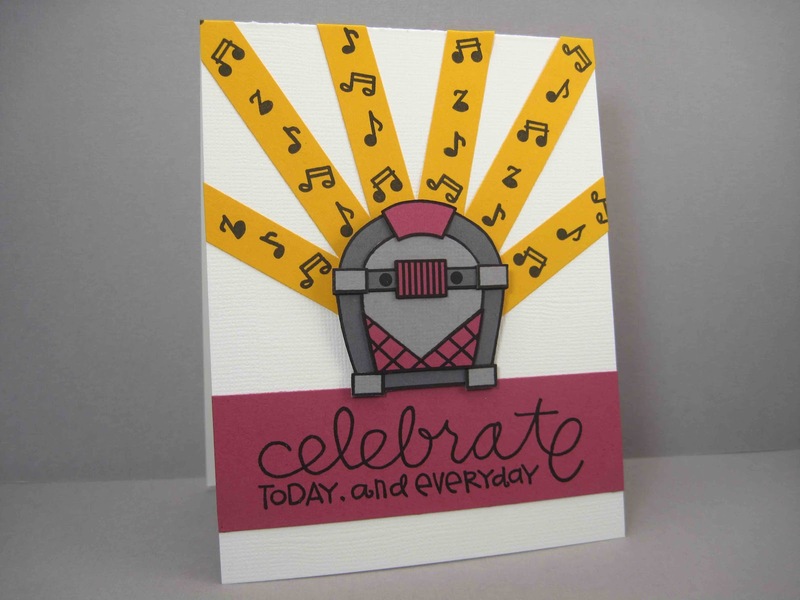 I especially like the sunburst with musical notes behind your juke box. This is a fabulous take on both challenges Jen. I love the design...it is fabulous! Thanks so much for playing at CAS-ual Fridays :)! Wow! Jen, what a great idea and you have executed it beautifully :) I love the jukebox and the music. Great sentiment too. Thanks so much for playing along with us @ CAS-ual Friday. Love the regrouped idea! Great music note DP! Another fun card Jen! Fun, fun, FUN! This is great! Wow I bet that jukebox is kicking out an awesome sound! The music notes on the yellow rays? Brilliance! What a fun birthday card. Jen - I LOVE the layout of your card, and that jukebox is just the cutest! Your card is very eye-catching! LOVE LOVE LOVE LOVE LOVE this!! The colours are fabulous and the music rockin from the jukebox......AWESOME!! Awesome paper piecing! And I love the colors on this one:) I'm going to have to mentally file that color combo for future use! Really rockin', girlfriend! Love, love, love this......great for the challenges and for this 1950's gal. I can just hear the music. Be still my heart. Your piecing is fabulous! I love those bright yellow rays stamped with music notes. This is just such a fun design. Thanks for joining us this week at CAS-ual Fridays! Oh, snap. If this image is still being made, I have to get it for one of my girlfriends, who has THREE jukeboxes in her living room and a collection of music that belongs in a museum. Thank you so much!! This is so super cute! I LOVEEEEEE it! crazy fun!!! adore your fun jukebox design. love how the music rocking out of the jukebox. What a fun design. Thanks for joining YCU this month. Whew, I've been checking out tons of your cards and they're fab! I was wondering if you'd consider adding the Subscribe by Email gadget to the sidebar so I can receive your posts directly in my Inbox!